Great hotel, perfect location. 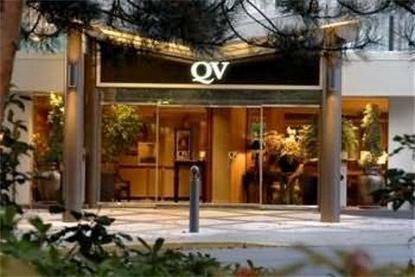 The QV is just steps away from the Royal BC Museum, IMAX Theatre, Inner Harbour, and the best of Victoria's restaurants, shopping and attractions. Offering spacious guest rooms and suites, with optional kitchens and views, our amenities include indoor pool, sauna, Jacuzzi and fitness area.